I’ve seen quite a few recipes for butternut squash soup. Most lean more towards the sweeter side; I opted to make a spicy version. This did come out with quite a bit of heat. I am sure my chicken stock already had a bit of a kick but the 1/4 tsp of cayenne packed the rest of the punch. I would suggest leaving out the cayenne for the faint of heart or adding a dash at a time if you like a bit of zip. 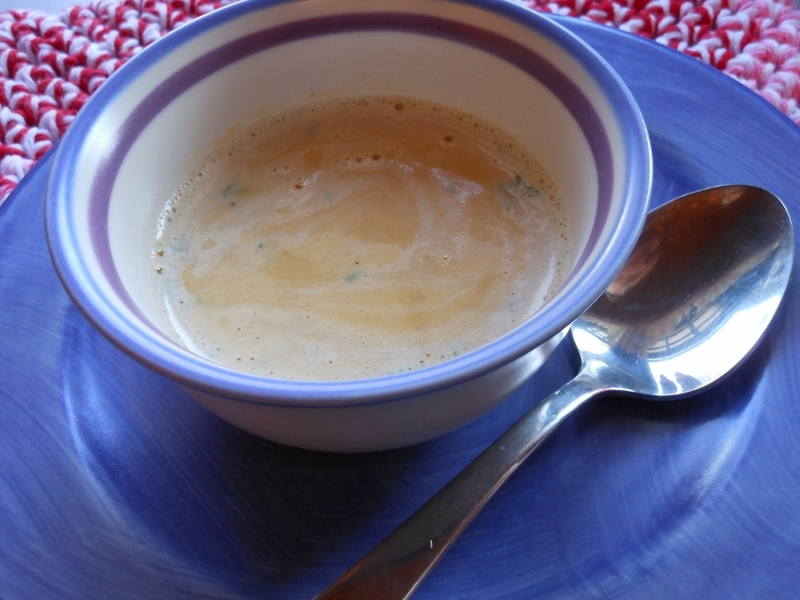 I will however post the recipe as I made it and let you decide how much heat you would like. Prep squash; peel and dice into small cubes. (I posted yesterday an easy prep technique) Heat chicken stock over medium high to a simmer. Add diced squash, salt, pepper, garlic, and cayenne. Simmer about 10 – 15 minutes or until squash is very tender. Add cream and parsley and heat through. 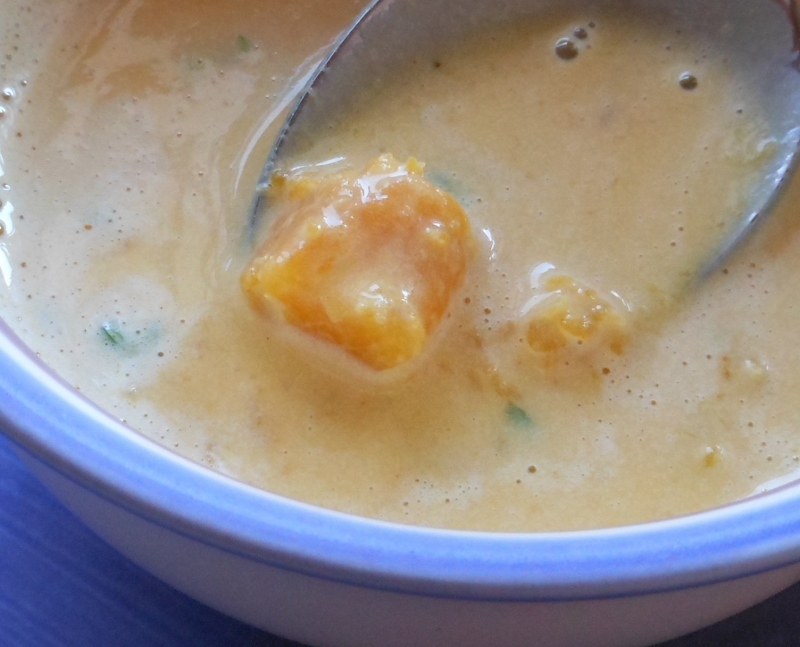 I used my handheld blender to partially puree; I left some lumps of squash to add texture. I decide there has to be an easier way to prep winter squash. I mentioned in my spaghetti squash recipe that Charles had cooked it whole. 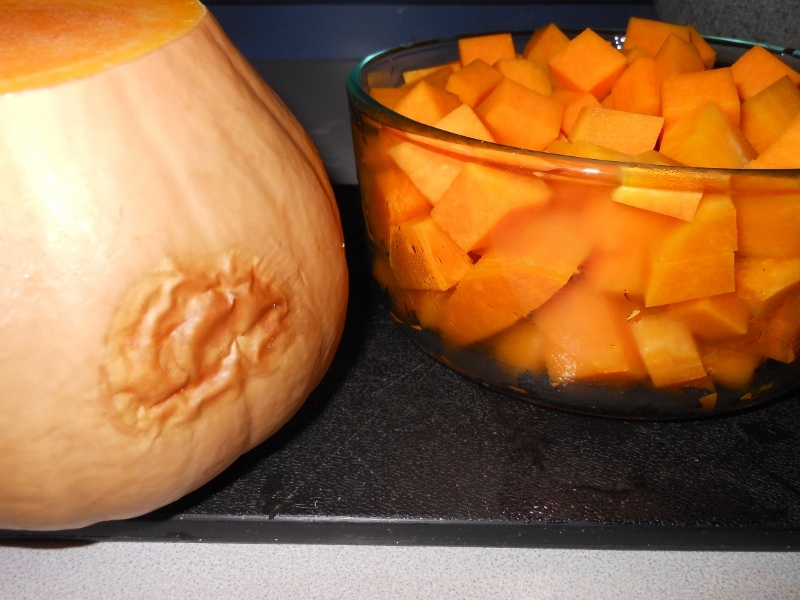 I got to thinking surely this concept would work to soften my butternut squash but without cooking the squash through. I simply washed the squash and pierced with a sharp paring knife about 20 times all around (5 piercings up the length turning a quarter turn and repeating). I baked at 350 degrees for 30 minutes ~ I then removed from oven and allowed to rest for about 2 hours before I peeled and cut the squash. I perhaps could have allowed less time to rest before peeling but I had errands to run so the 2 hours worked for me. Cooking first made it cut like butter. 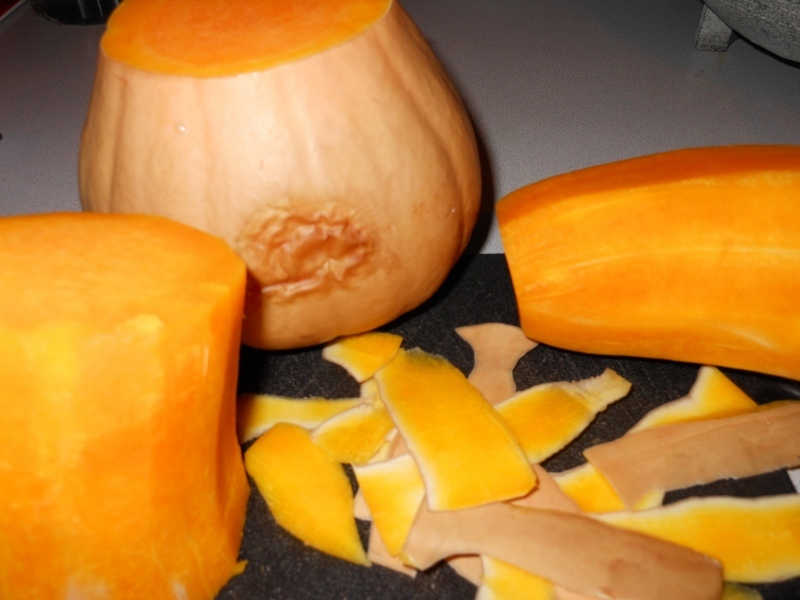 I was able to easily cut the squash into sections and peel in a snap. 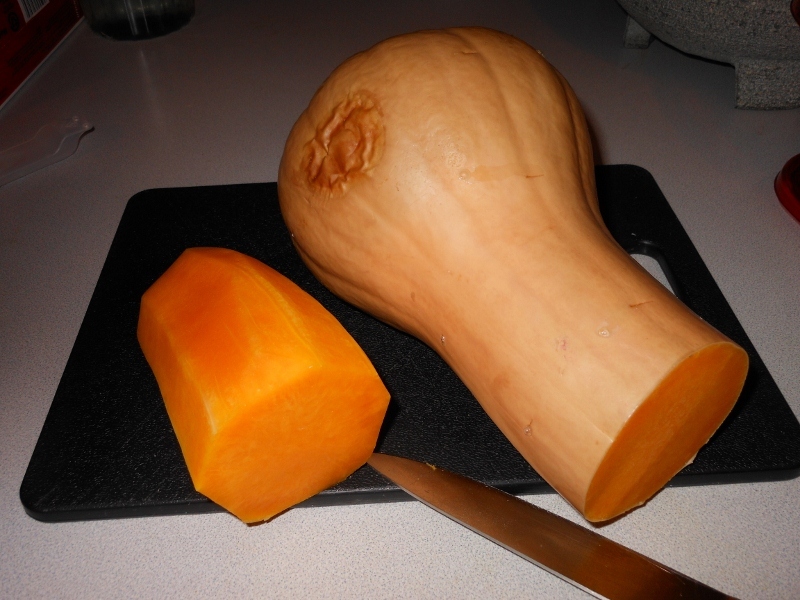 The squash was still firm enough to use in any recipe; about the same texture as a raw potato. I diced most of it and used about 1/2 for some butternut squash soup. I haven’t made plans for the rest of it but I will definitely share the soup recipe in the next day or so!